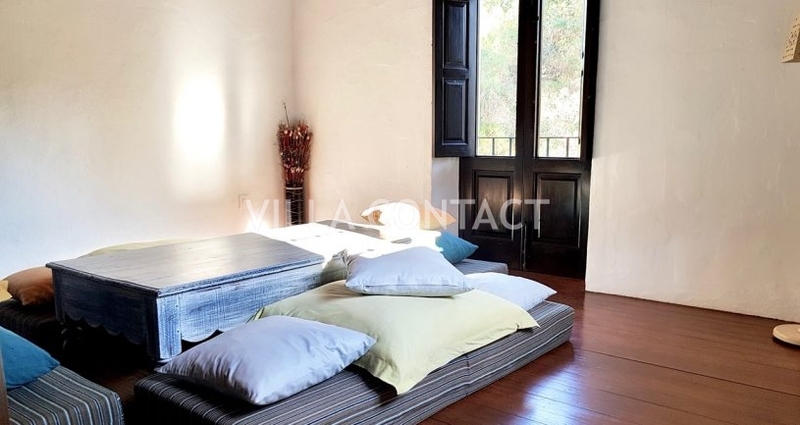 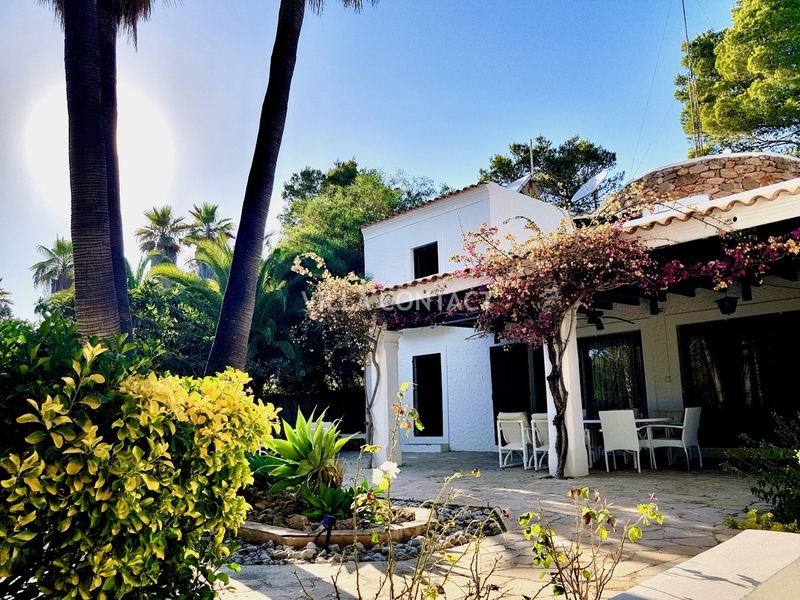 Charming traditional property set in a quiet rustic plot near the town of San Carlos. 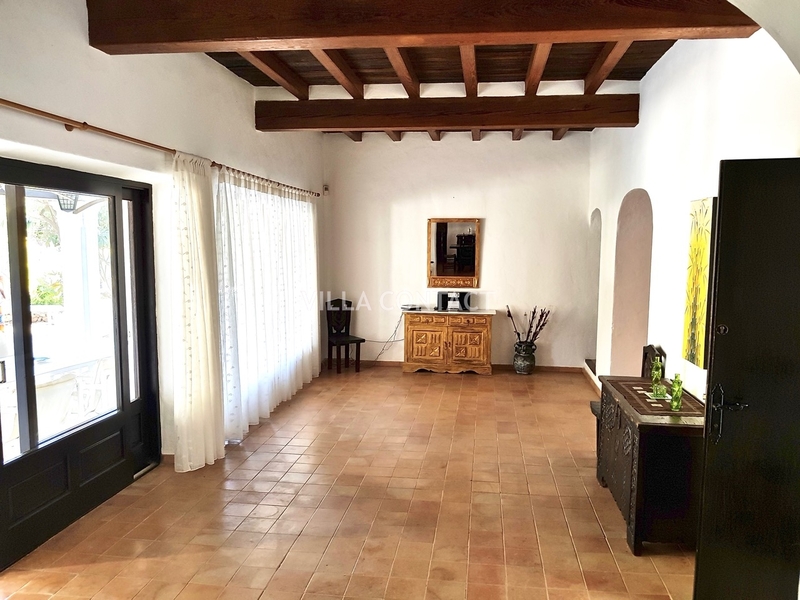 Wonderful country house with lots of charm and outside space set in a quiet location near San Carlos. 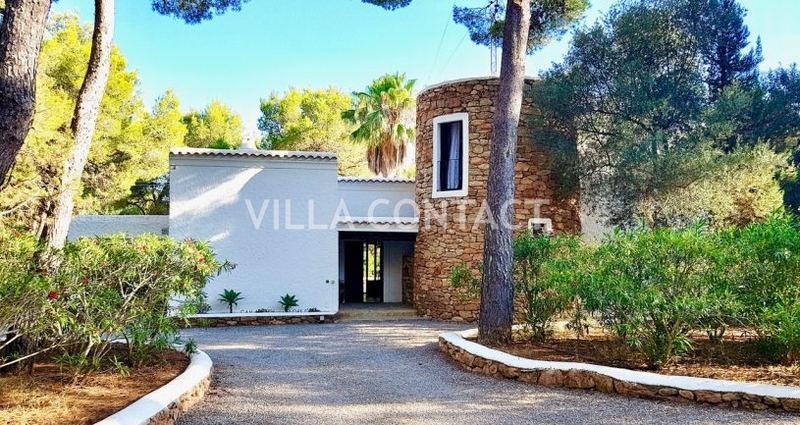 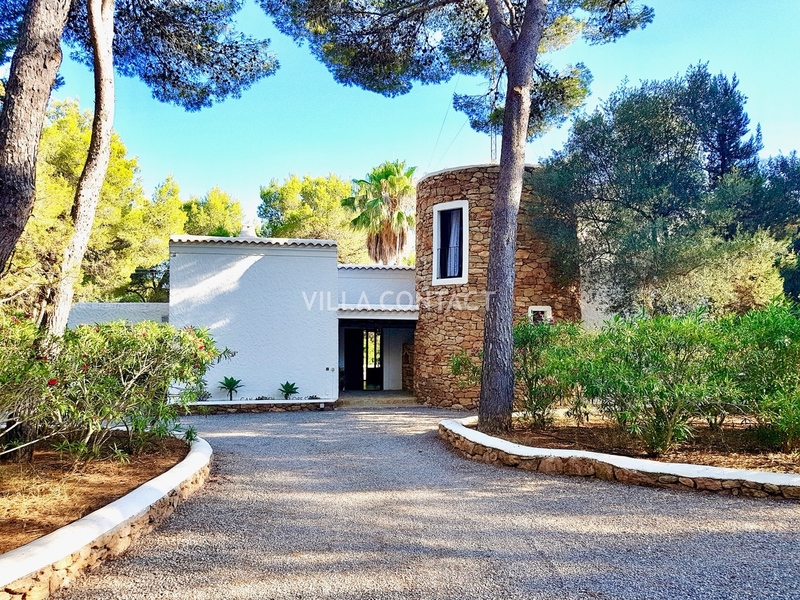 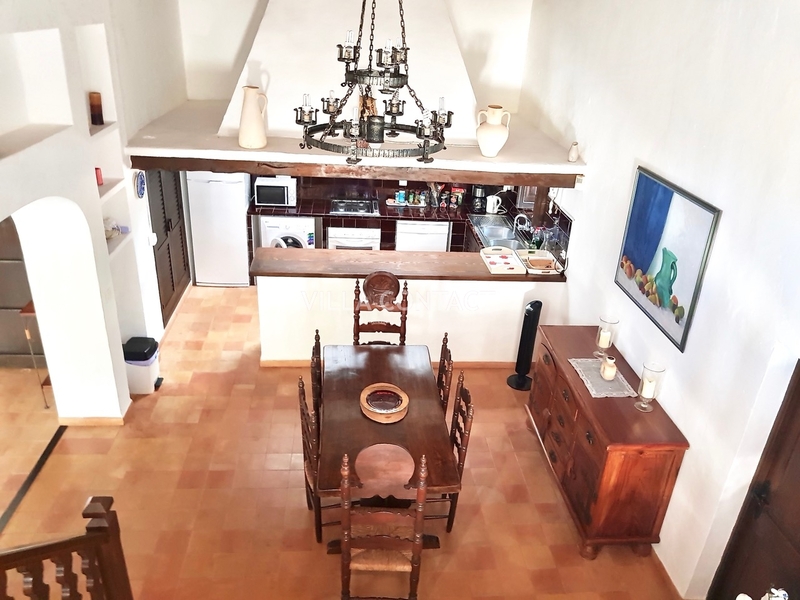 The main house has 2 bedroom downstairs and a 3rd bedroom in the stone-walled tower which also connects to a nice private terrace. 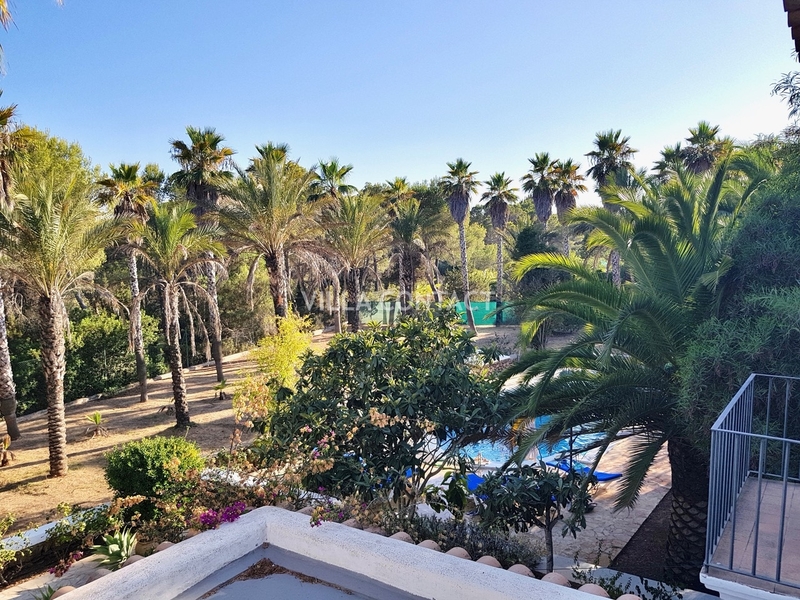 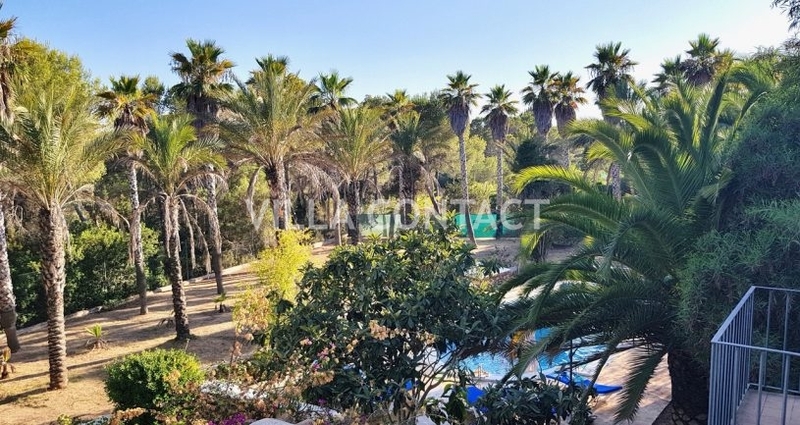 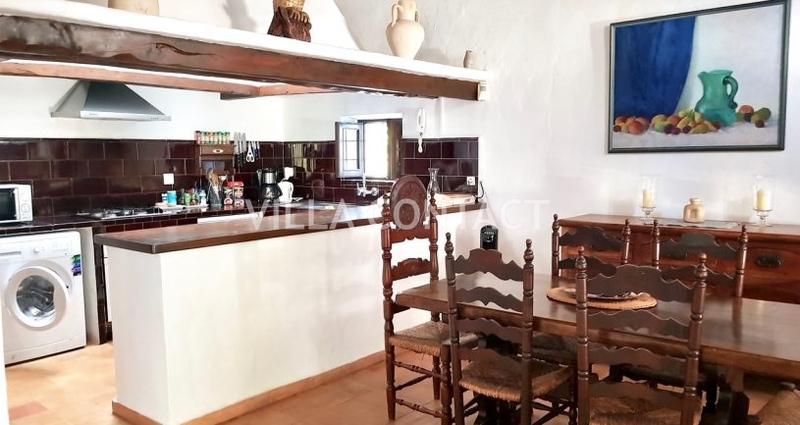 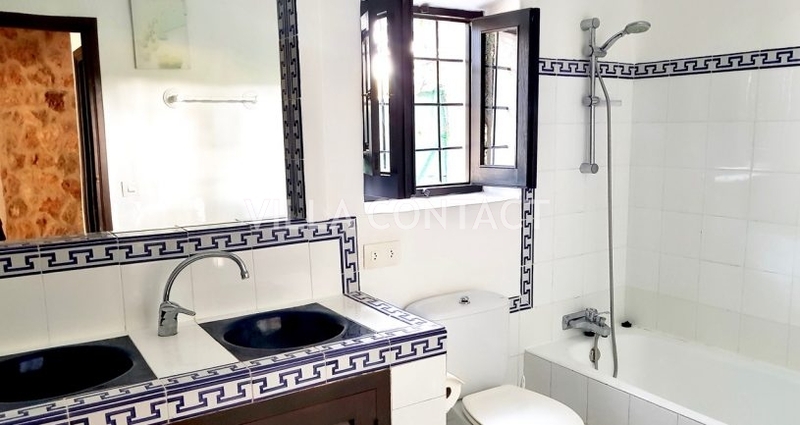 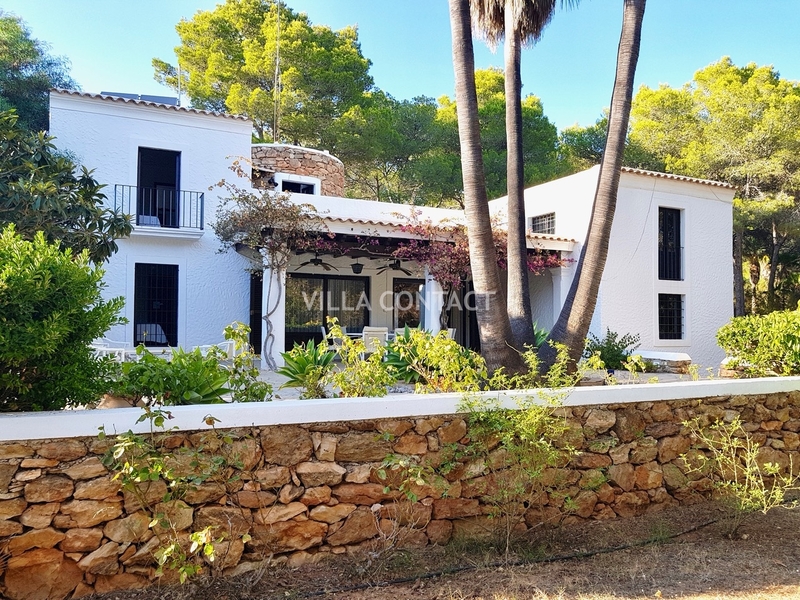 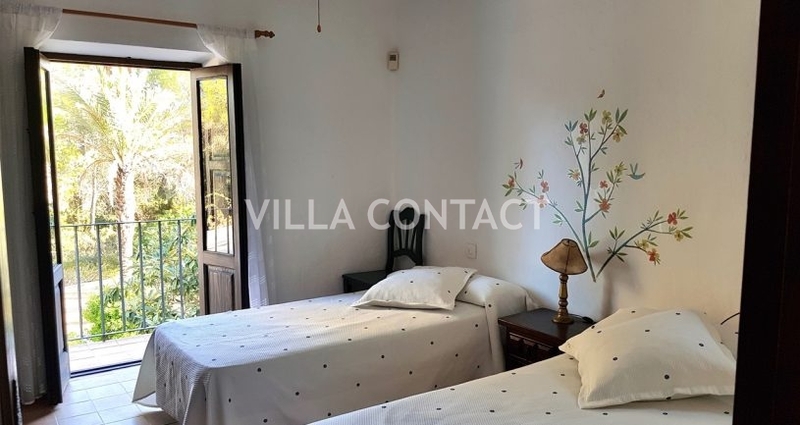 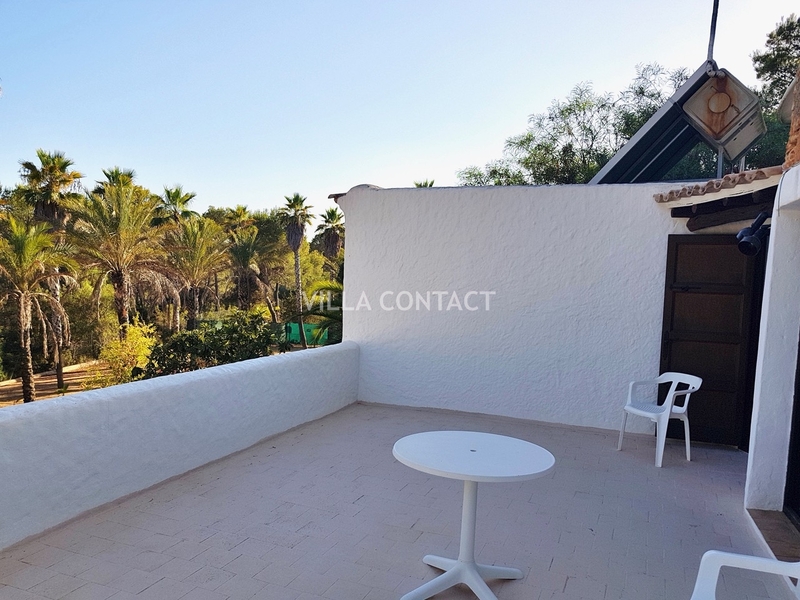 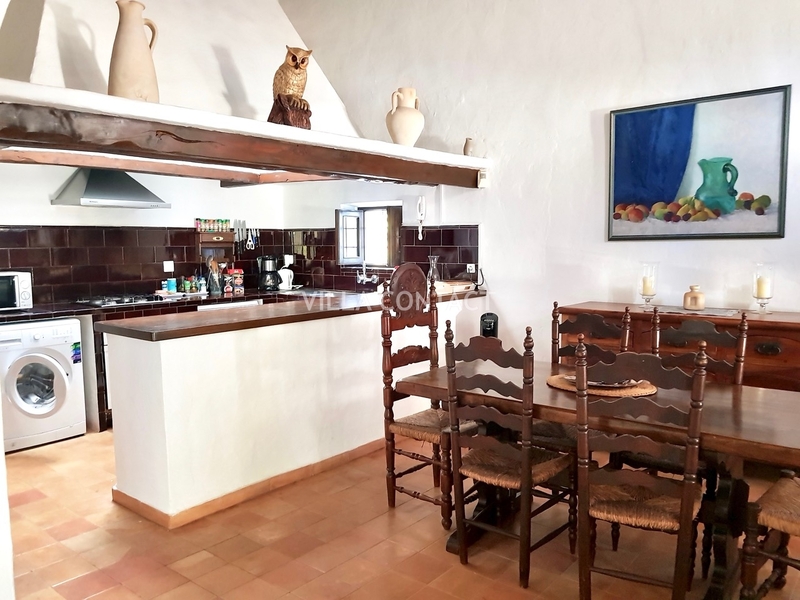 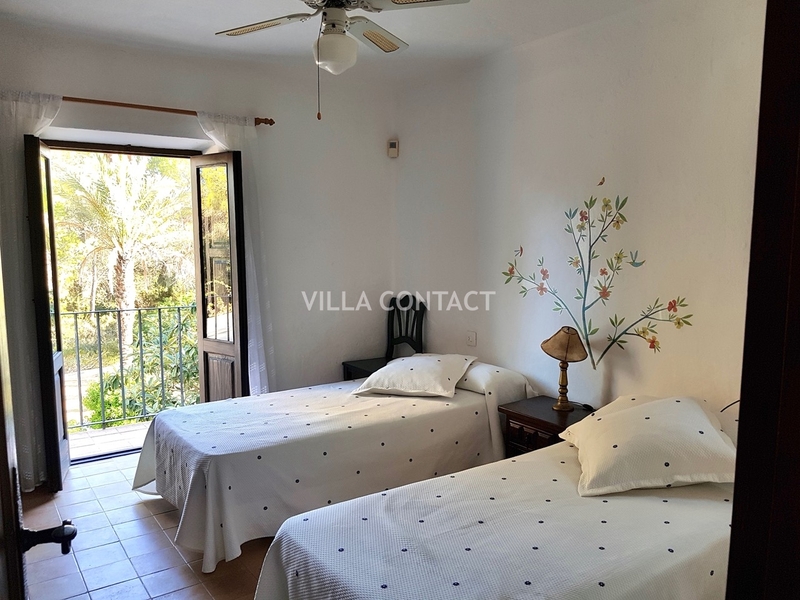 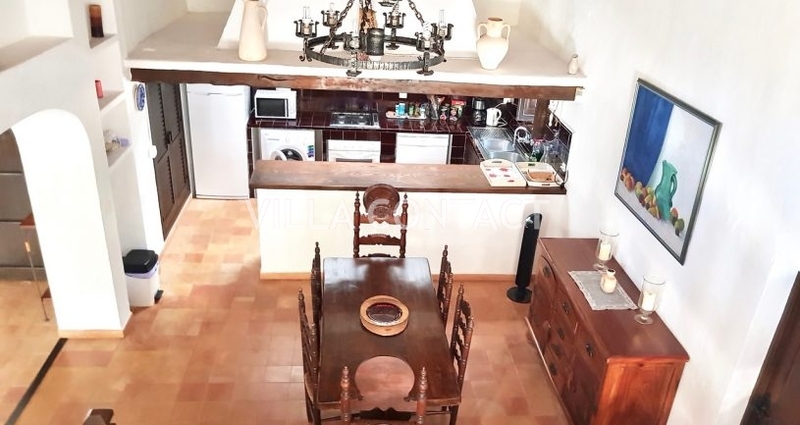 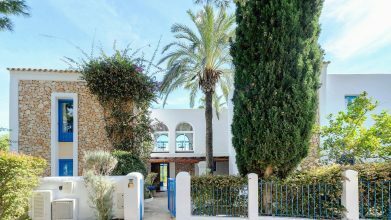 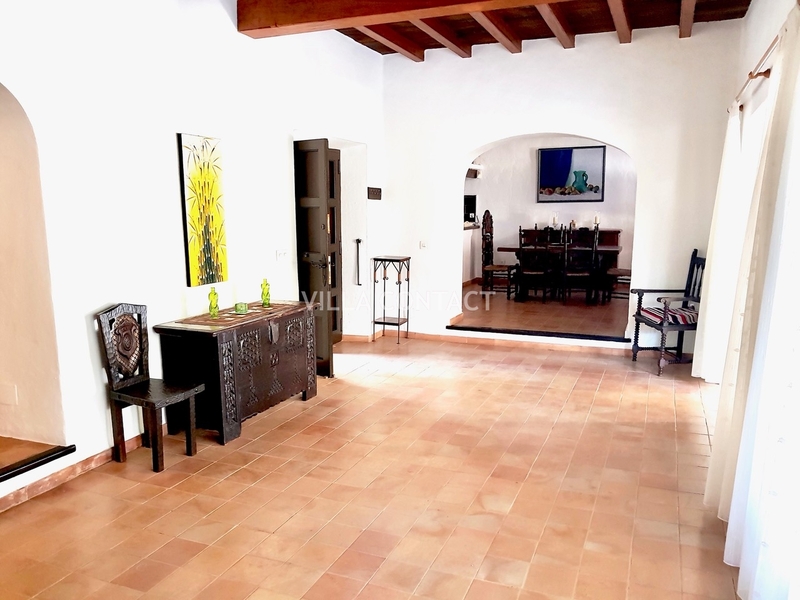 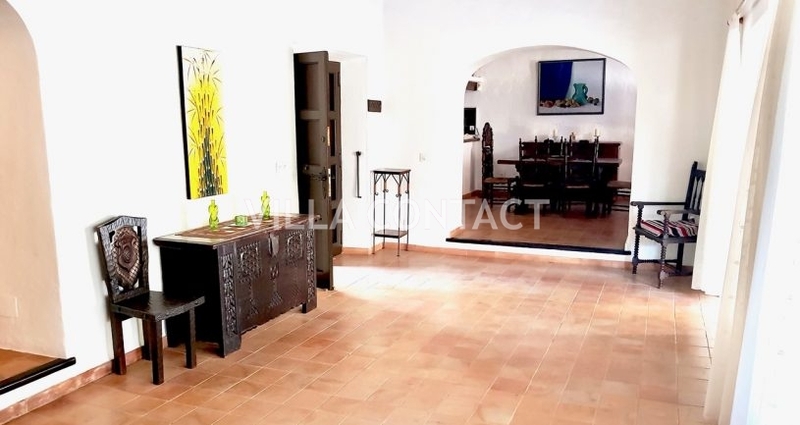 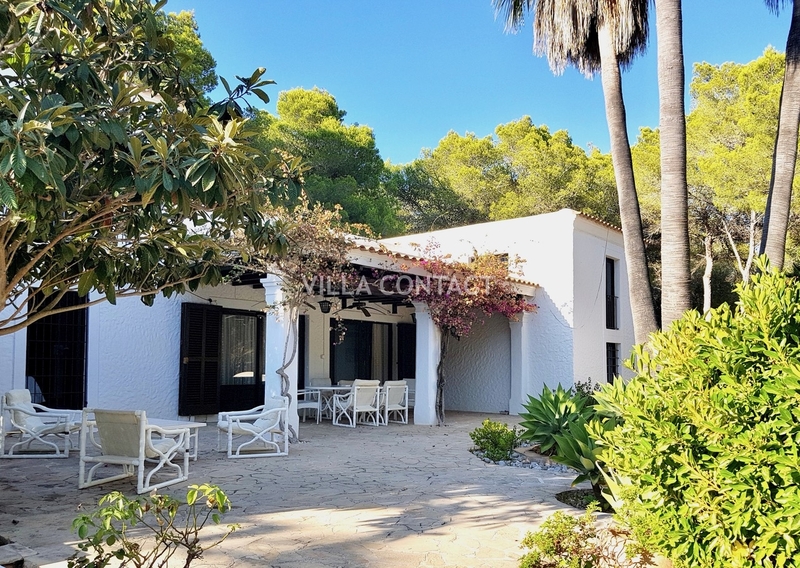 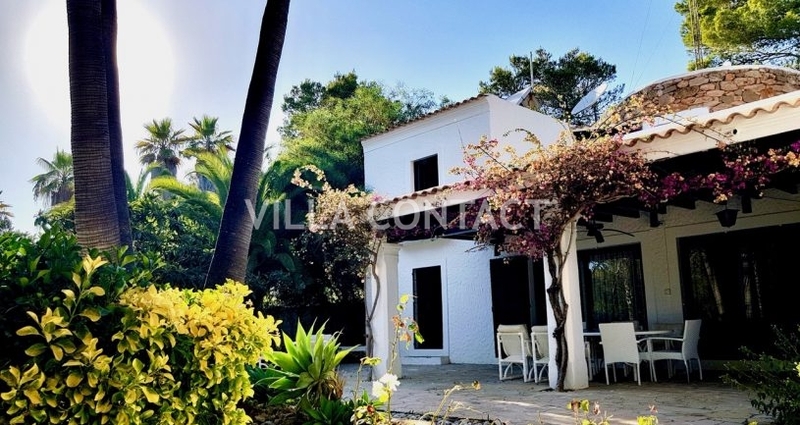 The property is a finca-style house with lots of traditional features throughout and a fantastic poll area and covered porch over looking the pool. 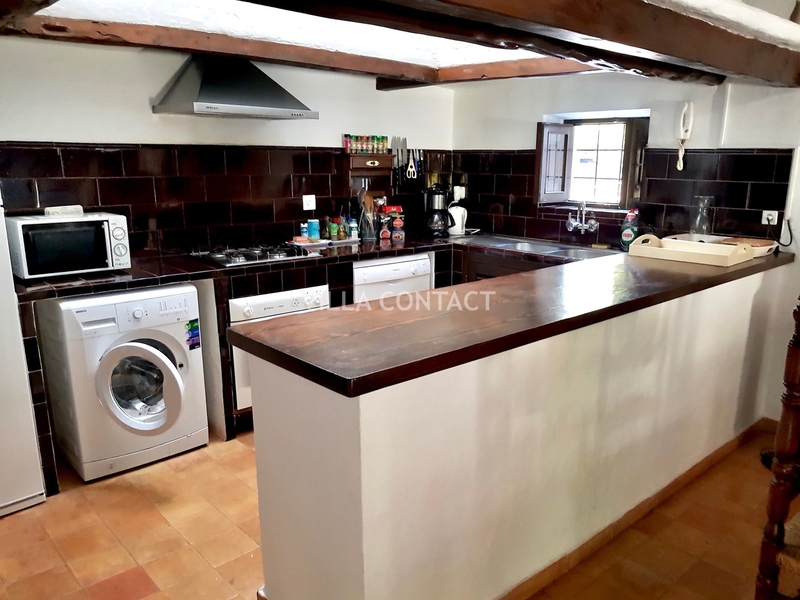 The ground floor also has a separate kitchen. 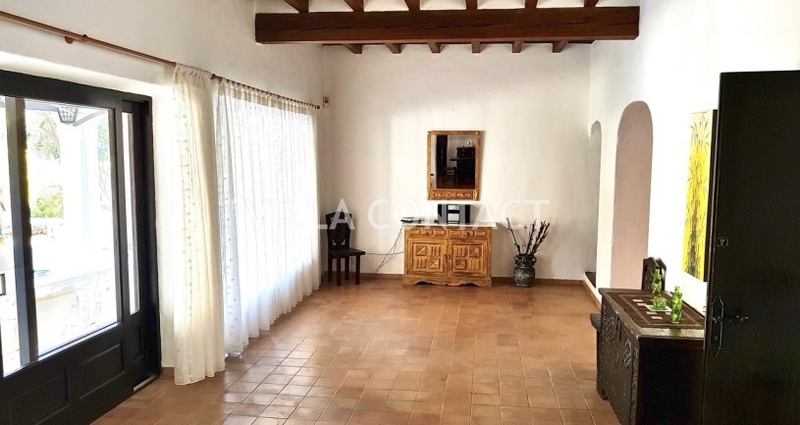 living room with fireplace and a television room. 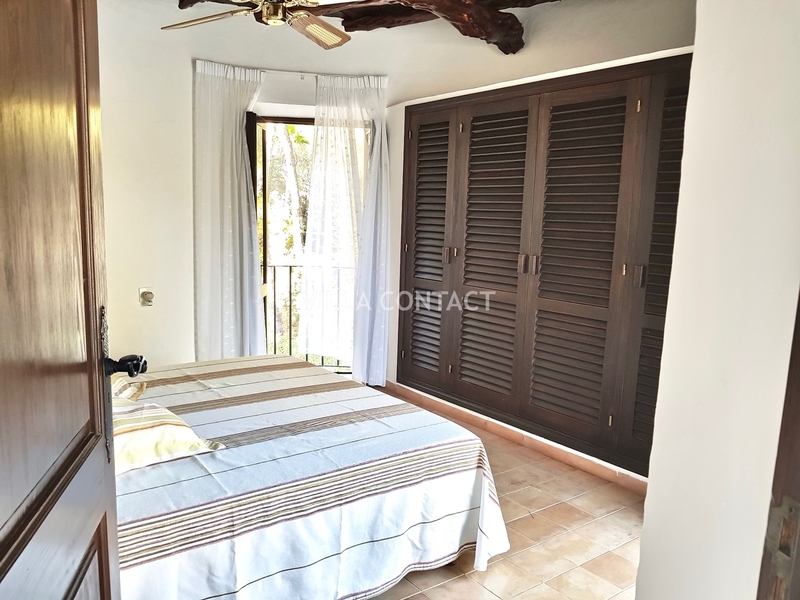 Outside there is a garage that could also be converted into addtional bedroom if wanted. 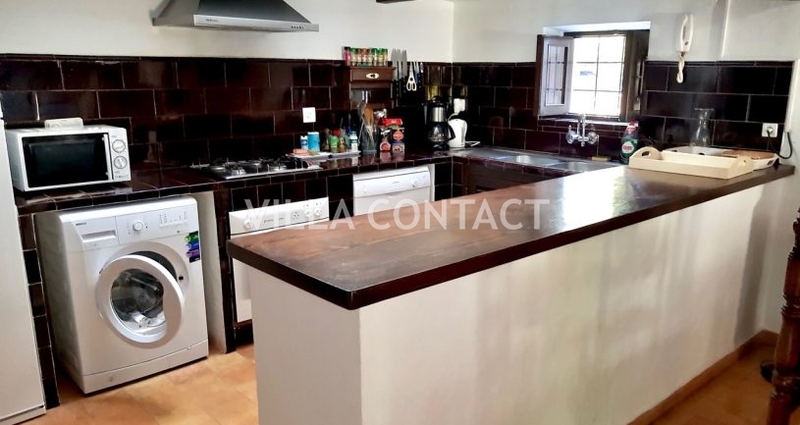 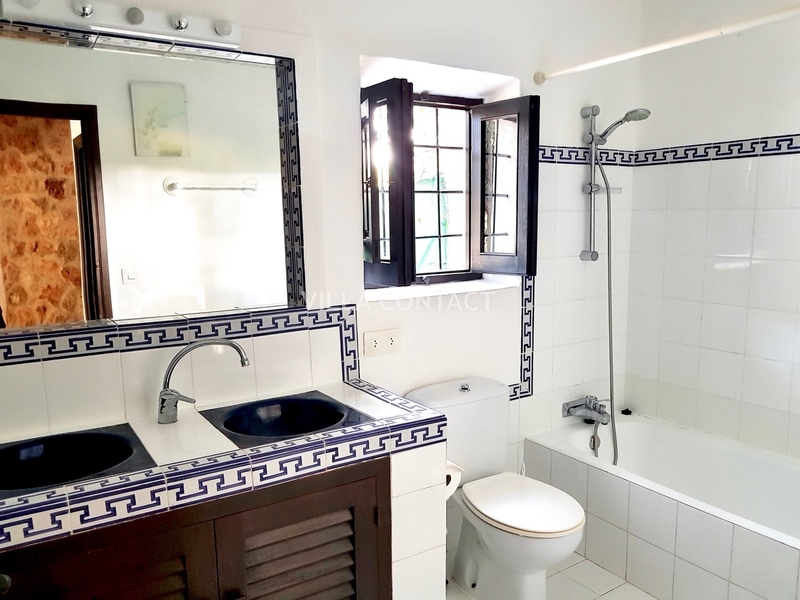 The property also has an independent 2 bedroom guesthouse with kitchen, lounge and bathroom. 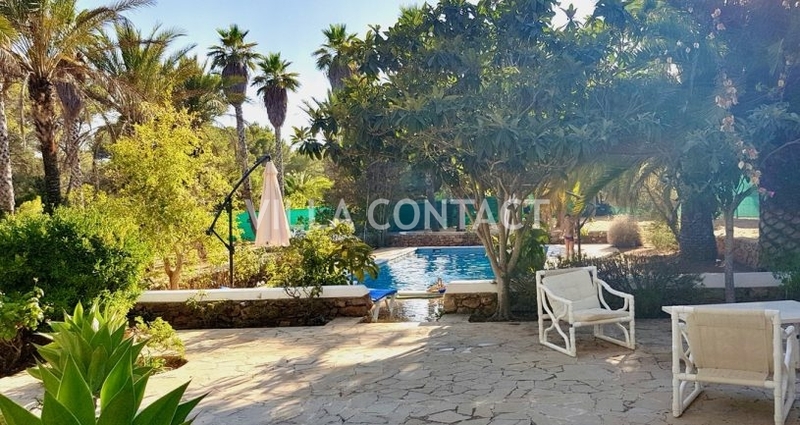 The outside areas of this property are really wonderful. 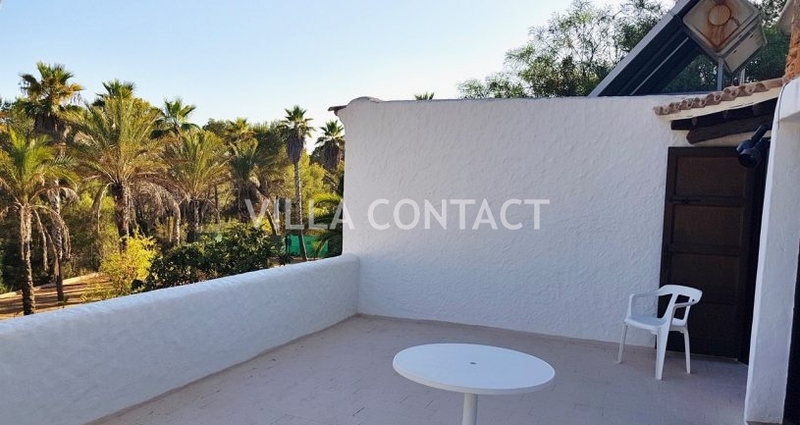 It has a mature garden with lawn and various lush fruits tress and palms. 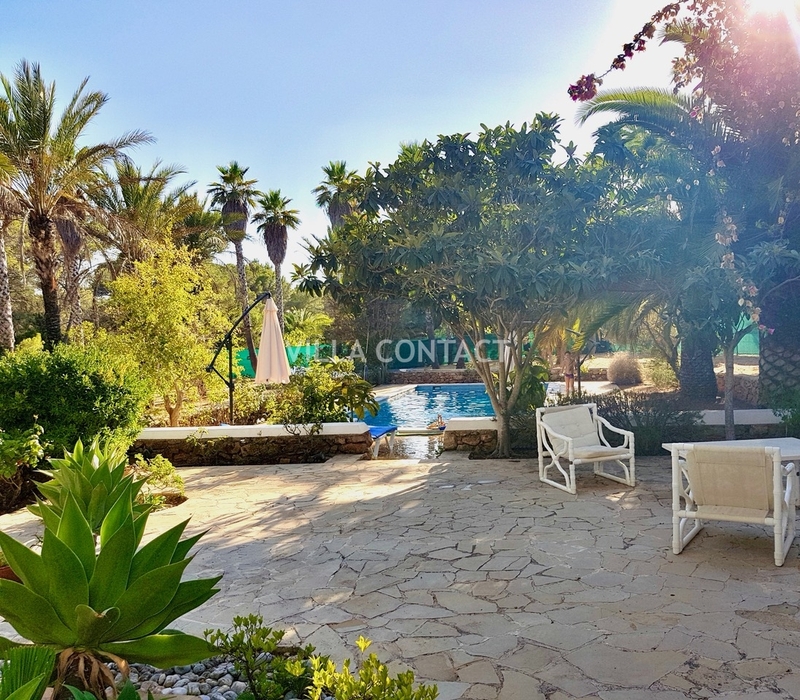 There is a large, comfortable chill out area to eat outside and the large pool has terraces surrounding it, which have ample room for sun loungers. 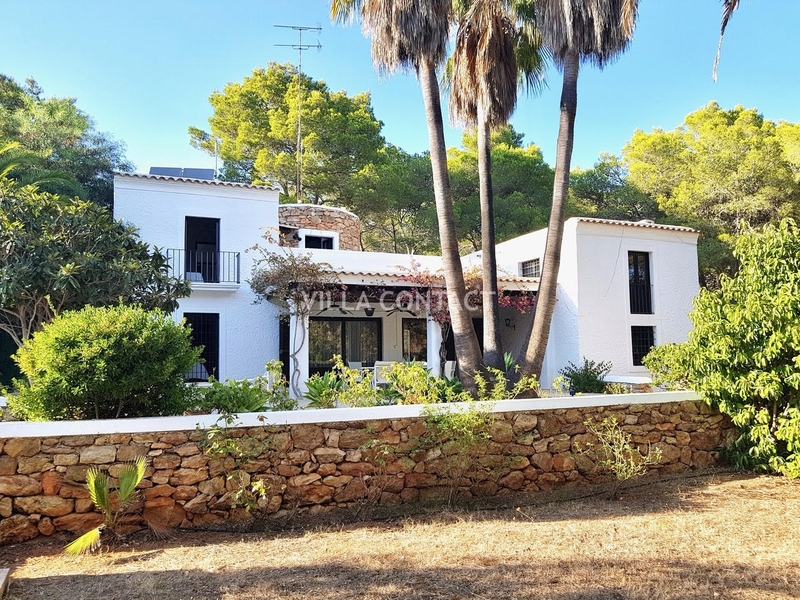 With a bit of investment this property could be a dream family home for all year round living or holidays. 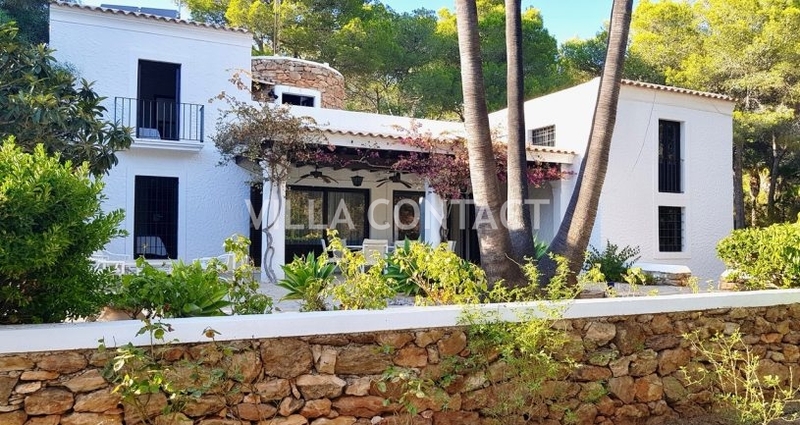 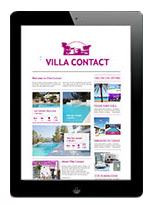 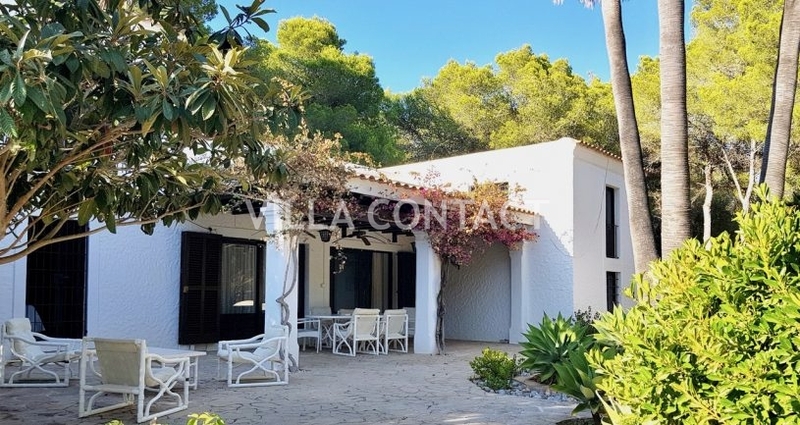 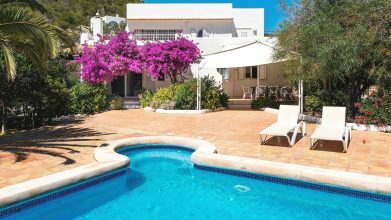 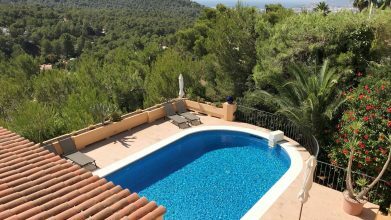 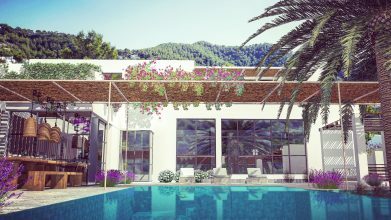 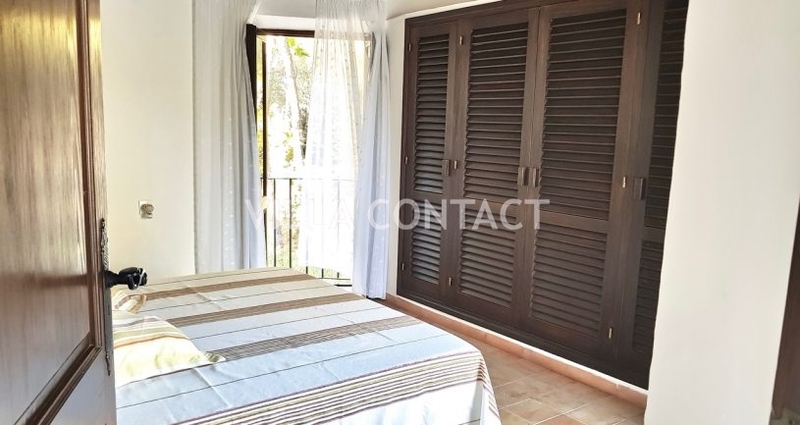 Its proximity to the beaches of Cala Nova and Cala Leña make it ideal for families.